Capture the exact moments from any Video as Photos. Is there a better alternative to Photos Extractor Pro? Is Photos Extractor Pro really the best app in Photography category? Will Photos Extractor Pro work good on macOS 10.13.4? 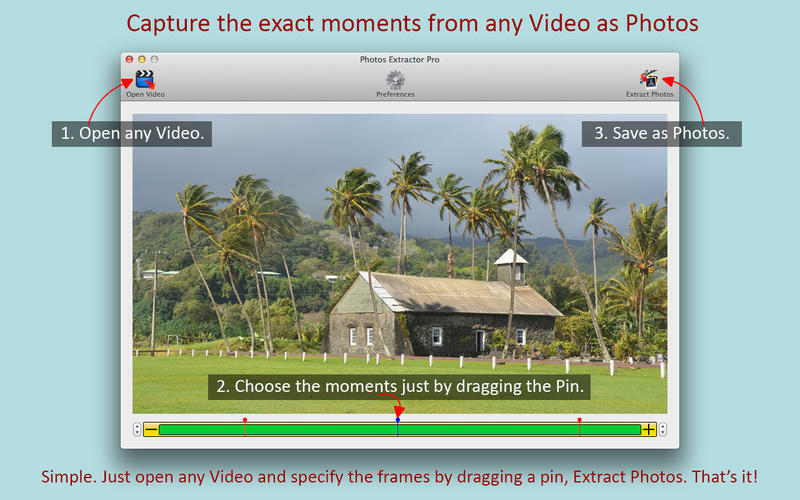 Photos Extractor Pro let you capture the exact moments from any Video as Photos. Just 3 Steps... 1. Open any Video. 2. Choose the Moments using a just by dragging Pins. 3. Save as Photos. 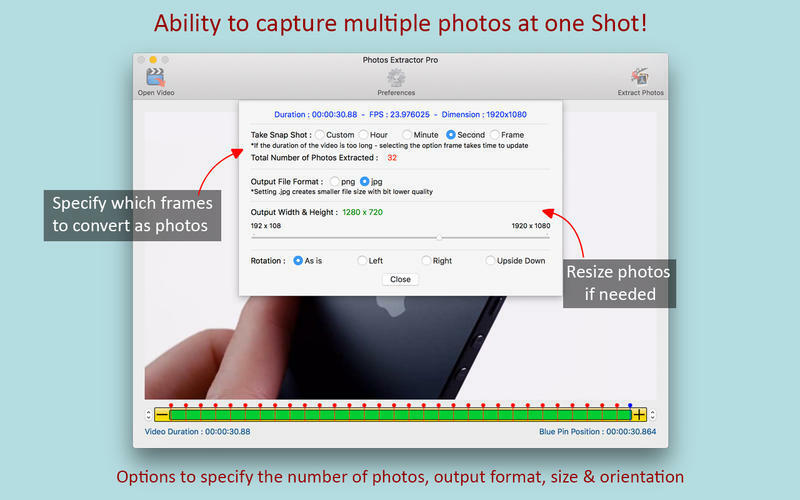 Extract multiple Photos from almost any video at one shot. Capture that exact moment just by adding a Pin and dragging it in real time. Extremely Precise & Blazing Fast. Option to extract every frame, second, minute or hour of a Video. Option to save the photos as .jpg or .png. Photos Extractor Pro needs a review. Be the first to review this app and get the discussion started! Photos Extractor Pro needs a rating. Be the first to rate this app and get the discussion started! Exceptional photo quality for .png and considerably small file size for .jpg. Option to resize the photos. Option to rotate the photos in case the mobile devices captured them in wrong orientation. Contact developer directly from the help menu.